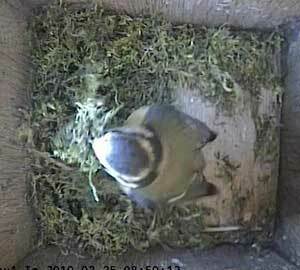 It looks as though Ann in Box1 is getting a bit more serious about finishing her nest. 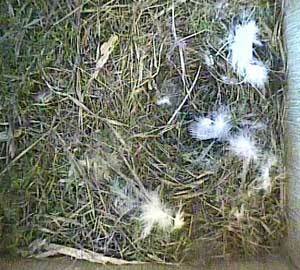 And Bella in Box2 has brought in a few more feathers. 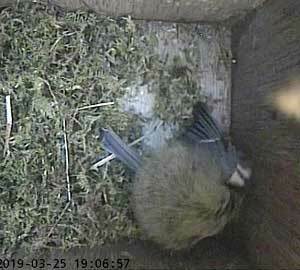 At the end of the day, Ann is back to roost again in Box1.